40 plus creatives were given the task of creating their own interpretation of a Cult, Classic or Obscure film poster from the past, whether it be a literal or abstract solution. The result is Now Showing, an Art exhibition paying homage to more than 70 years of film, through the form of Prints, One Off Screen Prints and Sculptures. Contributors were given the choice of working alone or in pairs; There was no colour, language or font restrictions. This project certainly wasn’t about redesigning “bad” film posters; that was far from its objective; Most contributors taking part picked films that already had beautifully executed solutions; Having said that, there is never just one solution to a creative brief, as some of the classic films proved. Vallery is the Gallery Shop of Vasava. Located in the Barcelona’s city center, It features exhibitions by outstanding artists, graphic designers and illustrators. 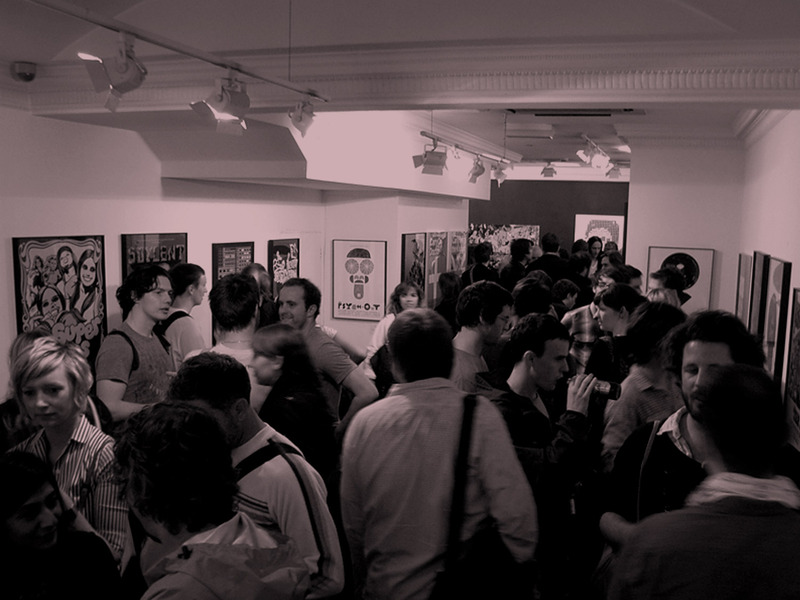 Cosh was situated in Soho, London and showcased the work of top artists & illustrators from around the world. 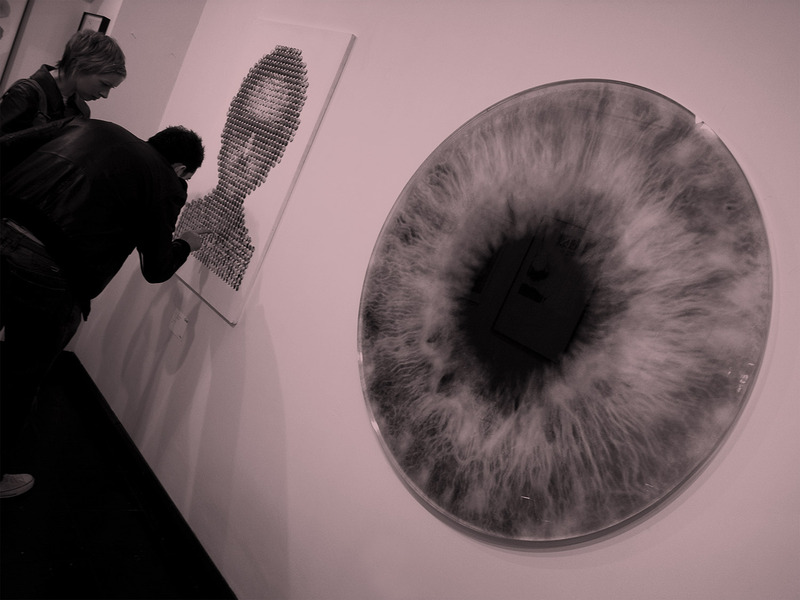 The Two Faced exhibitions were organised in conjunction with the launch of the book, carrying the same name. The London exhibition presented selected work produced exclusively for this project, including one-off originals, sculptures and framed prints. Two Faced London put together by Cosh, WIWP and hosted at the Cosh Gallery, showcased an impressive display of modern-day portraiture, both traditional and experimental, by some of the most talented and influential creative people of the last decade. 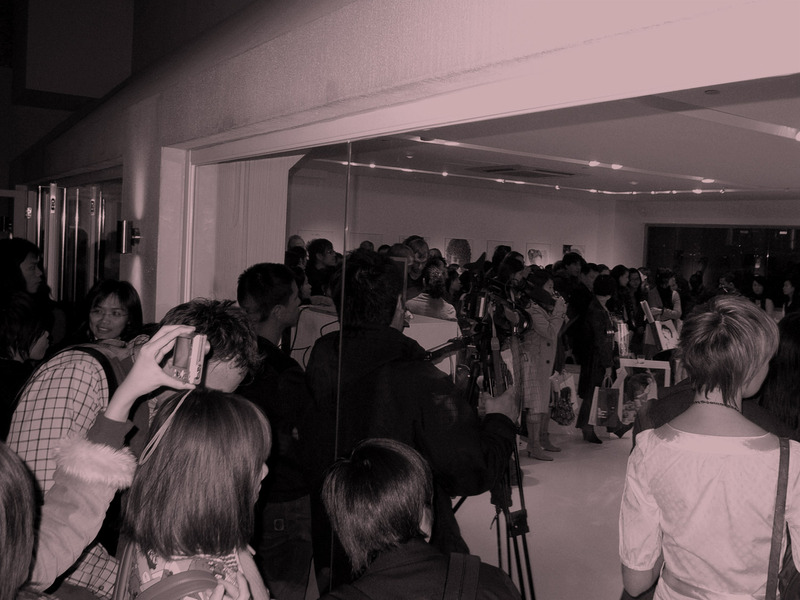 The Two Faced exhibitions were organised in conjunction with the launch of the book, carrying the same name. This exhibition presented all 100 plus portraits produced exclusively for this project by the likes of Kinsey, David Shrigley, Trevor Jackson, Joshua Davis, Rankin, Hillman Curtis, Build, Mi-Zo, Jonathan Ellery and many more. Two Faced Hong Kong, put together by IdNPRO, WIWP and Hosted by Agnés b.’s Librairie Galerie, showcased an impressive display of modern-day portraiture, both traditional and experimental, by some of the most talented and influential creative people of the last decade. In classic Agnès b. style – simple and with a clever use of whites and space, agnès b. Librairie Galerie is the only agnès b. gallery outside Paris. 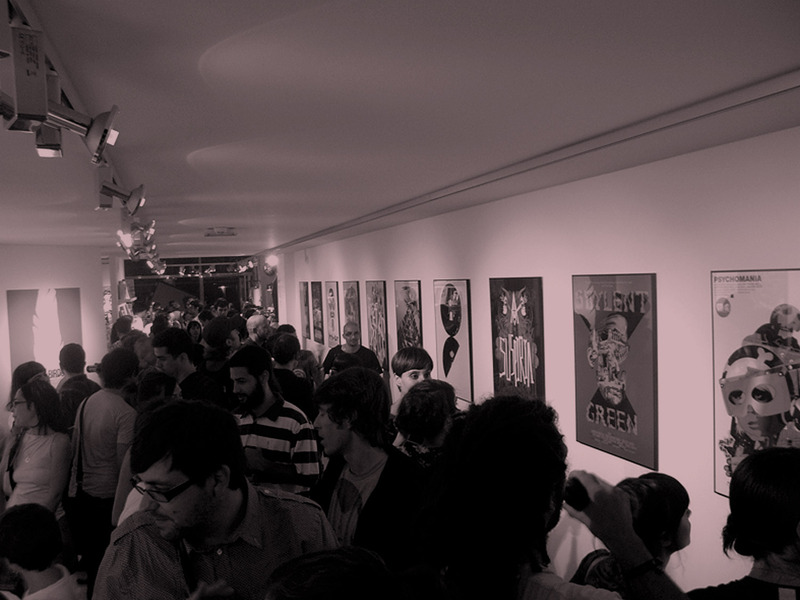 The gallery holds regular exhibitions of international and local artists. The dynamic space allows for a wide range of artwork from photography, sculpture, and installation art to video. Two Faced is a creative showcase of modern-day portraiture from some of the most talented and influential creative people of the last decade. The book presents over 100 unique portraits produced exclusively for this project by the likes of Kinsey, David Shrigley, Trevor Jackson, Joshua Davis, Rankin, Hillman Curtis, Build, Mi-Zo, Jonathan Ellery and many more. Our face is our signature: something that is indelibly us. Yet faces are paradoxical and we can easily misread them. 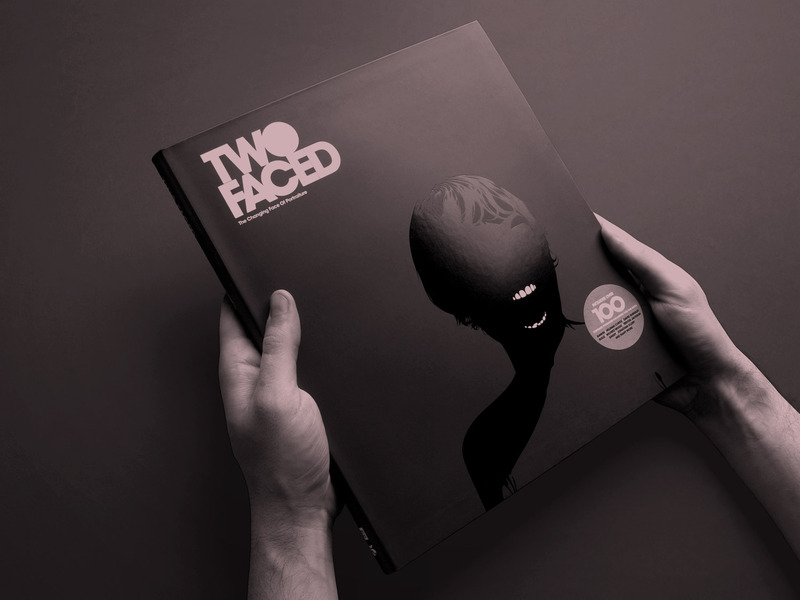 Two Faced, put together by WIWP and published by IdNPRO, represents a fascinating insight into the minds and worlds of those who have attempted to deal with this most enigmatic of artistic challenges. We asked 33 artists to take an old 12′ vinyl record, which was personal to them and decorate it with whatever they wanted. The artist would work directly on the surface of the vinyl using Pens, Paint, Stickers and Stencils etc. The theme was open and the space was to be used as imaginatively as possible. 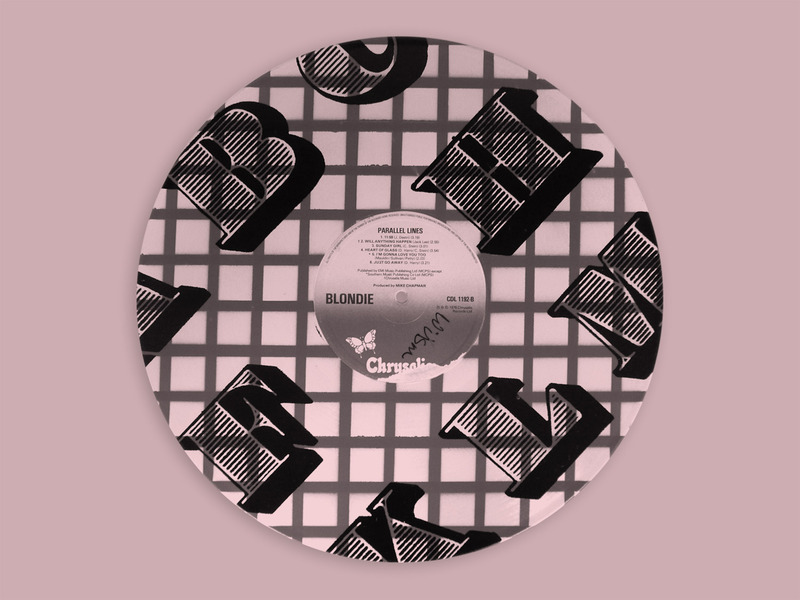 The vinyl was the central and most important piece in the exhibition, but in addition to that, the sleeve and cover could also be customised to complete the set. Remixed London, put together by WIWP, Fact and hosted at the Phonica Record store, showcased all 33 submissions and included a DJ Set by Its Bigger Than. Expanding on our original concept of limited edition handdrawn pin-badges, we devised theUnplugged project. Select artists were asked to take an A4 sheet of people and fill it with whatever they liked (the theme was open). A high quality copy was made and WIWP choose 3 to 5 areas to turn into unique pin badges, therefore creating mini artist collectables. Unplugged London, put together by WIWP, No-One and hosted at JaguarShoes in Shoreditch, showcased all the framed originals and accompanying one off pin badges, along with other badge related paraphernalia and full scale wall murals by Sickboy, Yuck and Jon Burgerman. 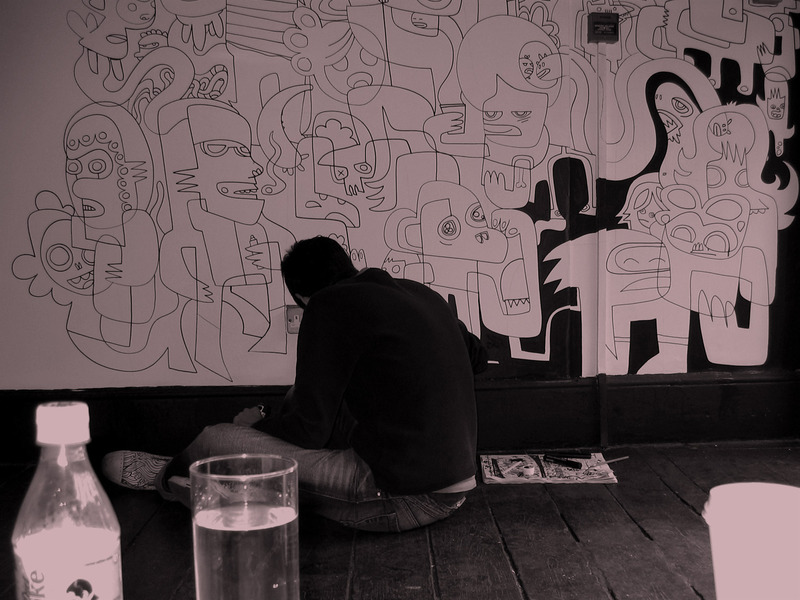 The original East London Arts collective, JSC create beautiful and unique exhibitions, events, publications. The organisation was born out of much celebrated Shoreditch bar and exhibition space DreamBagsJaguarShoes in London in 2002. The unusual name of this founding business is derived from the two 1980s bag and shoe wholesaler signs that hang on the buildings original shop front.